Contest: Win a GoPro® HERO7 action camera! 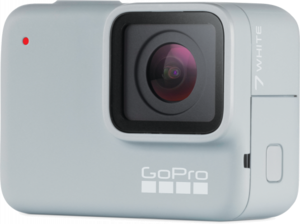 Win a GoPro® HERO7 action camera! Prize: Enter the Board Blazers Shots & Socks Giveaway to win a FREE GoPro® HERO7 White action camera or Stance® performance skate socks! What you must do to enter: Just enter your email and stay tuned to win big. No purchase necessary. Statistics: This contest was opened by 162 and entered by 32 ContestChest.com members. 20% of those who opened the contest, entered it.